Malaysians don’t need much excuse to feast. Tomorrow’s American independence day is reason enough to dig into some yummy Western treats! WE can fault Hollywood for a lot of things but certainly not for neglecting to inform us about America. After all, it is mostly through the silver screen that we learn about Rodeo Drive, fraternities, Prada wearing editors and such – even before we have ever set foot on US soil. And, if you were of movie-going age in 1996, you probably would have caught the Will Smith blockbuster Independence Day. Largely about an alien invasion, the movie was also known as ID4 – the number so picked because America’s independence day happens to fall on July 4, tomorrow, in fact. Essentially, the day marks the United States’ independence from the Britain. America’s Declaration of Independence was adopted on July 4, 1776. 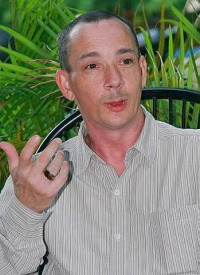 But those were “better days” when it comes to the Independence Day celebrations, according to Randy Phelps, an American security consultant who has been residing in Malaysia for the past year. “I think it has changed a lot in the past couple of years, particularly post-9/11,” he says, referring to the 2001 terror attacks on New York’s Twin Towers and the Pentagon. While there is a stronger sense of patriotism among people from an older generation (particularly those who lived through the Great Depression of the late 1920s), Phelps notes that most of the younger set simply regard it as an excuse to party. “To them it’s all about free beer and hotdogs and getting together with 200 people,” he muses. Standard barbeque fare is served at these occasions, partly due to the fact that it falls during the warm summer months. Randy Phelps says that America’s Fourth of Julyhas always been the time for family and friends to get together, eat and enjoy the fireworks display. “You get hotdogs, hamburgers and some chicken. The wealthier families will serve steak, which has been getting increasingly popular of late among yuppies,” says Phelps. During these (usually potluck) gatherings, it is also common for people to try to outdo one another – who brought the best dish, for example. “While it usually doesn’t break out in fist fights unless there has been too much beer, it is rather amusing to observe,” he grins. A drink that he considers the Fourth of July drink is Kool-Aid – “It’s basically water, sugar and flavouring”. When he was younger, he recalls lining up for it holding little cups with a bunch of other kids. American casual dining restaurant Tony Roma’s will be open for a one-day buffet today. For the third year running, it has extended the offer to two new outlets due to great response. “It was only held at the e@Curve outlet prior to this and not only would we be fully-booked, there would be lines outside as well!” says assistant public relations manager Regene Siah. This hot response is partly attributed to the fact that they ran a rib-eating competition as well, in which participants tried to clock the fastest time for eating 10 ribs; the winner got a one-year free supply of ribs. 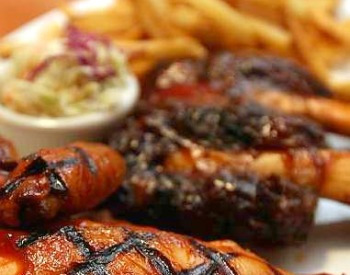 Get your fill of Tony Roma’s beef ribs and BBQ Chicken. “Also, at RM79.90 per person, it is good value for money considering that a full slab of our à la carte ribs (with five ribs) will already cost RM75.90. With the buffet, our patrons can have unlimited ribs, plus about 15 other dishes,” she adds. Other things that will be served on the buffet line include the Golden Deep Fry Fish, Chicken Hotdog, Potato Salad, and Onion Loaf. To lend some local flavour, satay counters will also be open. Ah, and for those wanting to quench their thirst, unlimited beer will be sold to buffet patrons at RM1 per glass. For enquiries or reservations, call the participating outlets at 03-7728 7833 (e@curve), 03-2161 0200 (Jalan Yap Kwan Seng) or 03-6203 0580 (1 Mont’Kiara). If you fancy some burgers – and many different kinds of it – pop by The Daily Grind at Bangsar Village, KL for your fix. Open in late 2008, this is one of the few places in town that serves handmade gourmet burgers. “A few years ahead, the founders of this restaurant found that gourmet burgers were trending elsewhere. After conducting some research, they decided to bring the concept to Malaysia,” explains marketing manager Selena Mak. 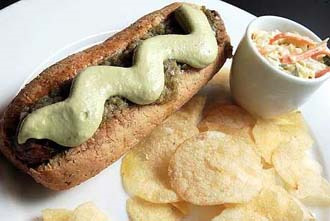 The hotdogs at The Daily Grind are Chef Rosidi Shamsuddin’s personal favourite. One of the things that sets them apart from other fast food or restaurant chains is that they grind their own (beef) patties from imported prime cuts (mostly rib-eye) sans fillers like onions. After the beef is ground, it is mixed with simple ingredients – egg whites and salt and pepper. “This is why we consider it a healthier option – we use fresh ingredients and as much as we can, make everything ourselves,” says Mak. Even their chilli sauce and ketchup, for example, is produced in their kitchen. All the buns meanwhile, are multi-grain. Though they originally started with the American diner concept, they have revamped themselves as a Western restaurant. So, in addition to finding American classics and favourites such as corn bread, meat loaf and stuffed jalapeno on the menu, other items such as pasta and even a soft-shell crab burger named Downtown Tokyo is also available. The must-try at this restaurant, however, is the Lamburgerni. The patty, topped with a delicious mix of grilled vegetables and salad, is tender and juicy. A drizzle of pesto completes the ensemble. The corn bread and spicy stuffed jalapeno, too, are good choices if you’re just looking for a nibble. According to head chef Rosidi Shamsuddin, each patty, about 2.5cm thick, is 180gms. He says that this size is ideal because it still maintains its juiciness. He reckons that the kitchen churns out about 450 to 500 patties a week. His favourite item on the menu, however, is not a burger but the hotdogs. He chuckles: “I could probably attribute that to my three-year stint in Berlin. For reservations, call 03-2287 6708. Pork ribs are available in seven different flavours and there are six other pork dishes as well, such as the Crackling Roast Pork, featuring slices of roll-roasted pork with ultra-crispy skin that is accompanied by apple sauce. These ribs are prepared by slow-roasting them for two hours and they are then chargrilled right before they are served. This is why, says Kenny, it may take some time before the ribs get to the table sometimes. One thing that caught our attention were the wild boar ribs on Riblees’ menu! “These are from local sources, of course,” he laughs. The taste of wild boar ribs is more gamey than pork ribs. 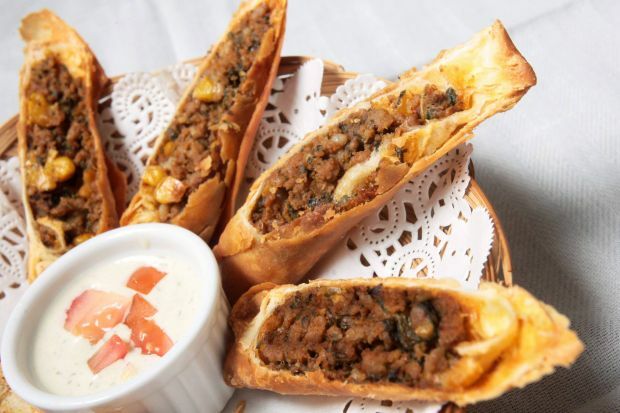 As they serve a mainly local crowd, they plan to introduce new flavours soon, such as tandoori and sambal. “The latter is going to be like how our Nyonya grandmother used to make it,” says Kenny. Apart from ribs, a number of American favourites such as Texas egg rolls, quesadillas and chicken wings are also served here. “Almost everything is handmade, even the tortillas,” reveals Kenny. One of the things to try at Riblees is the Pork Bacon Steak. Layered generously with a creamy Hollandaise sauce and featuring a black pepper crust, it is an explosion of flavours, and the tender meat makes it a joy to eat. They have also come up with their own version of the Oreo biscuit – by combining it with vanilla ice cream. 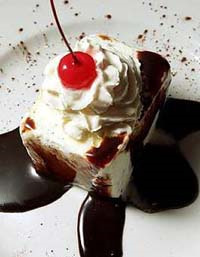 This dessert works very well after a heavy meal because it is light and not very sweet. For reservations, call 03-6201 0180.